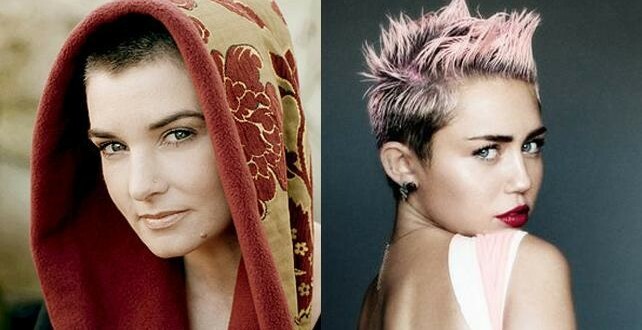 The question of the objectification of women and the profiteering from their sexuality by the media and entertainment industry has garnered quite a lot of attention in response to the publishing of an open letter from Sinead O’Connor to the young American singer Miley Cyrus. In the letter she expresses her concern at the exploitation and the manipulation of Miley by the puppeteers pulling the strings behind the scenes, and the negative effect that it will have on her as well as on young women in general. 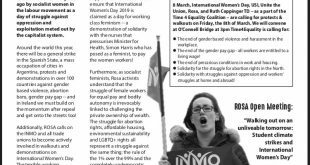 Correctly O’Connor points out the ruthlessness of the millionaire executives that control the industry and their willingness to commodify and dehumanise young women in order to reap the rewards in massive profits. Although O’Connor is also right in alluding to the fact that we live in a deeply sexist society in which women are vulnerable and are bombarded with hyper sexualised images on a daily basis and where women’s bodies are used to sell just about every product imaginable, we must not dismiss the important point that women have the right to express themselves freely through sexual expression and sexual exploration and should not be shamed in their attempt to do so. Similarly women have the right to wear (or not wear) whatever they so choose without being told their bodies are ‘for her and her boyfriend’. Of course women should be able to explore and express their sexuality, including in art form. It’s not inevitable in any way that Miley will regret or be damaged by her sexualised performance in the Wrecking Ball video in the future, as O’Connor seems to suggest. But it is valid to ask the question in a more general sense as to the effects of the corporate pushing of the objectification of women and whether the version of women’s sexuality that’s represented in the music industry actually represents a progressive and real version of women’s sexuality in general, or is more of a corporate construct.